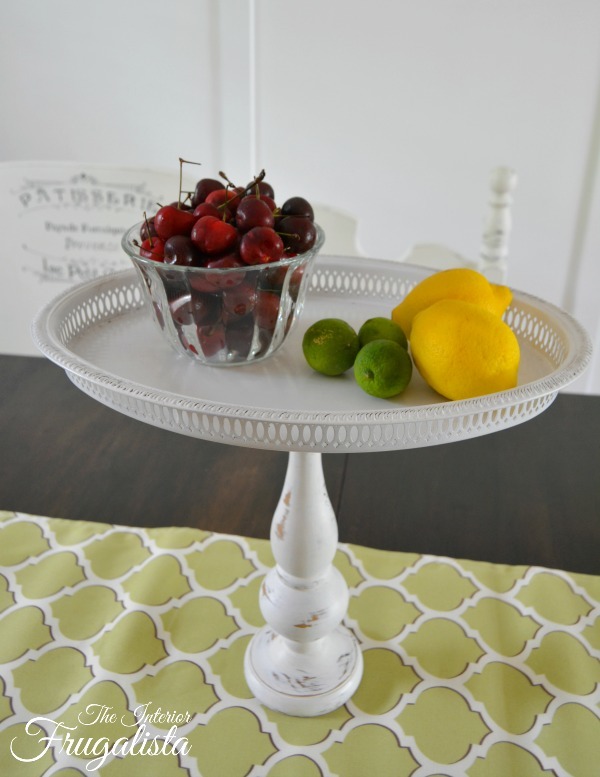 Hello friends, those of you who have been following my blog may remember these Pedestal Cake Stands that I re-purposed from thrift store candlesticks and silver trays back in August. You may also remember the base didn't provide adequate support. I have since modified my original design and added a little Parisian flair and thought I would re-share them with you today. You can see the base of the candlestick in the photo above is too small to support the tray above. To make the pedestal cake stands sturdy I attached large round wooden plaques to each base of the candlesticks. Much better, don't you think? But let's go back to the beginning so you can see what I used to make the original versions. 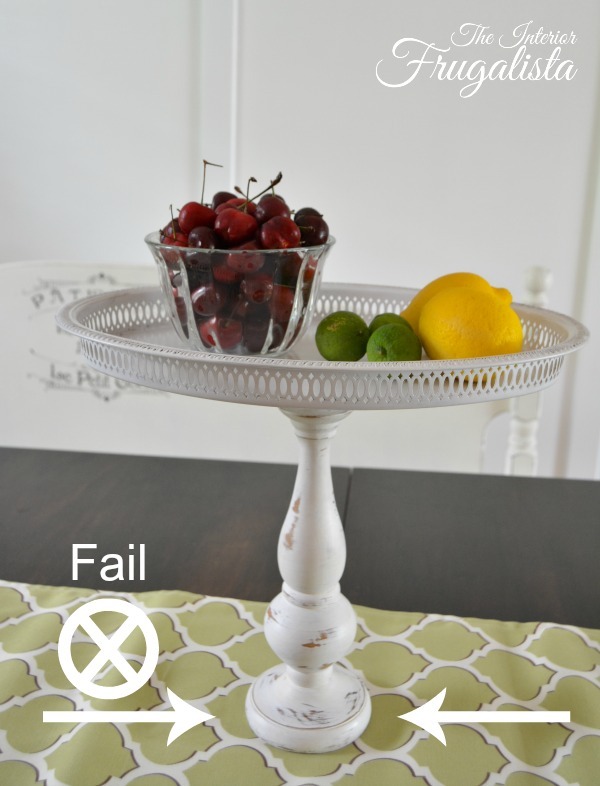 Two silver trays and two wooden IKEA candlesticks that I purchased at my local thrift store. The trays were tarnished beyond polishing and had seen their better days. I felt no shame in painting them. 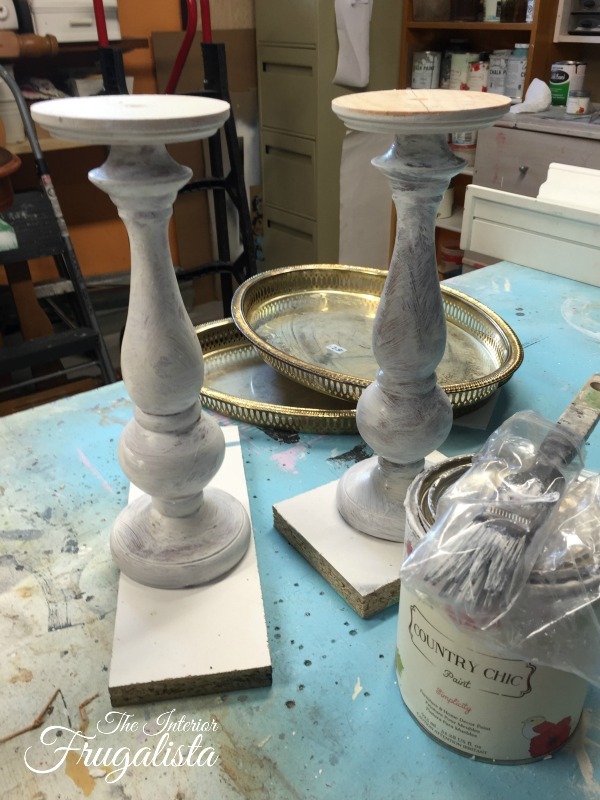 I forgot to take photos of the wooden candlesticks before applying the first coat of Simplicity White chalk paint. 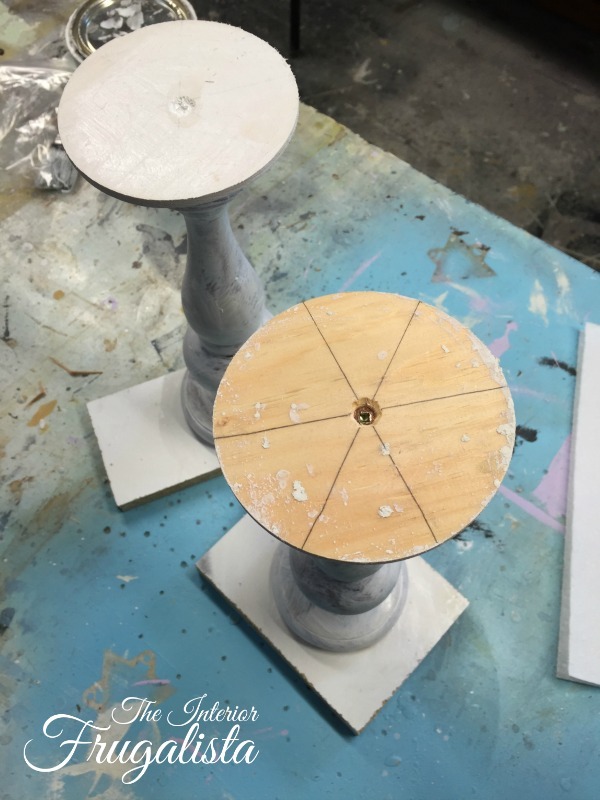 On the top of each candlestick, I attached round wooden plaques to create a base for the trays. As you can see from the photo below, I screwed them onto the top of each candlestick, much the same way I later added supports to the base. After cleaning the trays I sprayed them with Rust-oleum Painter's Touch Spray Paint in White gloss. The trick to painting silver is not to go over the same area twice while the paint is wet and don't attempt any touch-ups or you will have one hot mess on your hands. Silver takes longer to dry so be sure to allow extra drying time between coats. Wait until after your final coat is completely dry before doing any distressing. It took three coats to get complete coverage on my trays. After they dried overnight, I carefully distressed the edges with sandpaper. Two coats of Rustoleum Clear Spray were applied to protect the painted metal. I wouldn't recommend putting food directly onto the painted surface as it is not food safe. 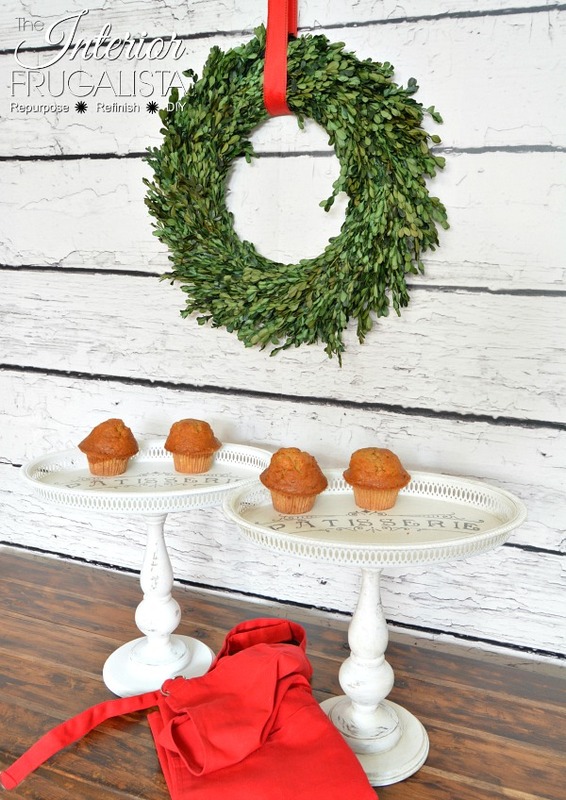 Place table linens or napkins under the food and/or dishes. 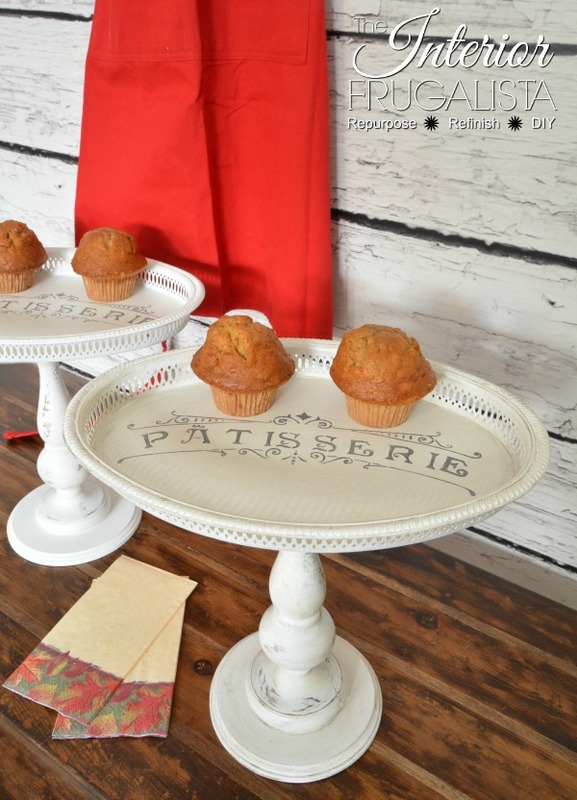 I decided, after being so thrilled with the results of my DIY Cake Stand With Parisian Flair, that I would add some French personality to these ones too. I used a different part of the same stencil for these. I kept this one clean, meaning I didn't distress the painted top nor add any dark glaze. This one I gave an aged appearance using a dark glaze. If you look closely at the photos you can see the difference. I like them both equally. 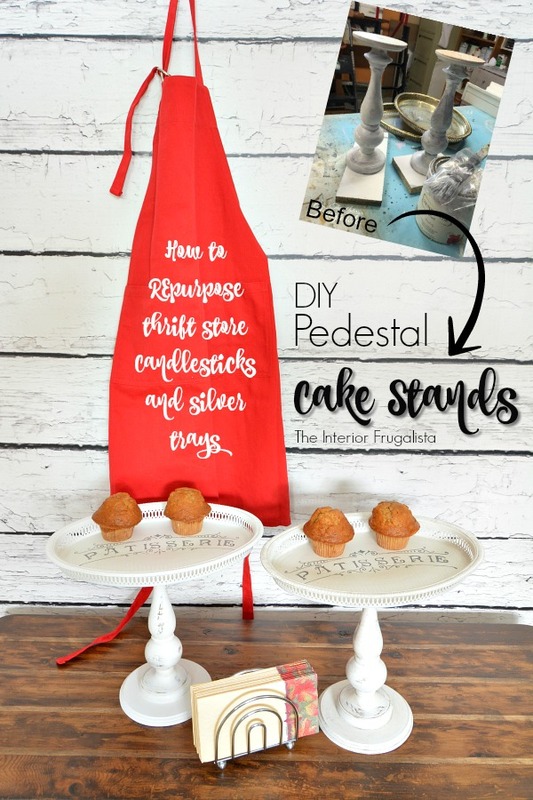 It wouldn't take much for this pedestal stand to topple over and dump that special cake you spent all afternoon baking splat onto the floor. 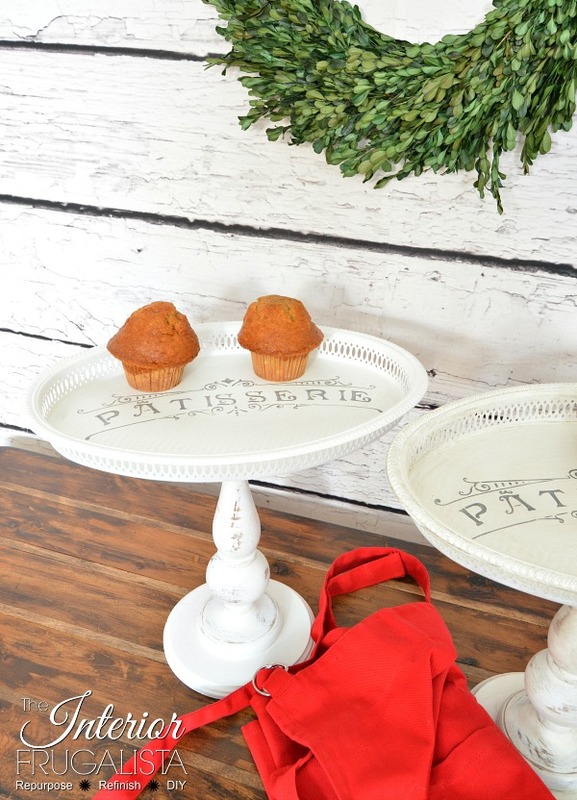 Now these DIY Pedestal Cake Stands made from repurposed candlesticks and silver trays are sturdy and look so much prettier stenciled with a Parisian flair! 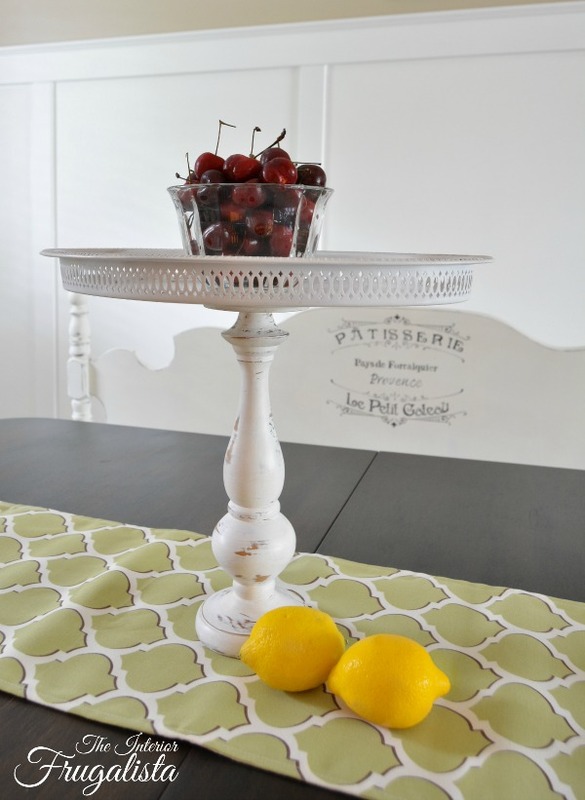 If you like my DIY Pedestal Cake Stands, please share it with a friend and/or save it on Pinterest. 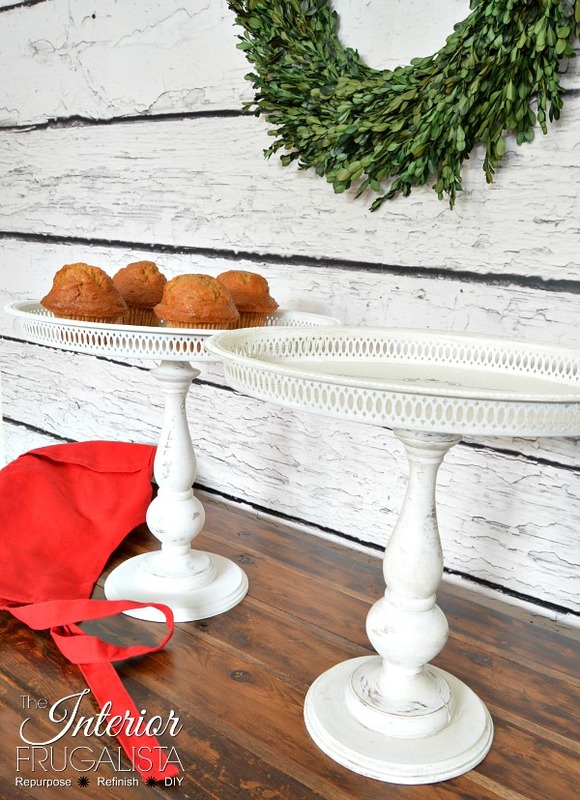 If you are looking for other DIY Pedestal Tray ideas for your Thanksgiving Table or Holiday soirée, you can see how I repurposed glass candlesticks and vintage dishes into 2-Tiered Cake Stands.